We are continuing to give back to our community this Holiday season thanks to some help from Kellogg’s cereal, Hasbro Toys and The Salvation Army. Back in October, I stocked up on Kellogg’s cereal to take advantage of the Hasbro Game or Toy Offer they were running. By inputting a special code printed inside the box, I was able to order 5 coupons good for a free Hasbro toy valued at up to $15 or a coupon for $10 off a toy that cost $25 or more. There are lots of great organizations collecting new toys at this time of year, but I chose the Strathcona Christmas Bureau because of their connection with the wonderful Santa we always visit at Sherwood Park Mall. In the past we have made a monetary donation during our visit with Santa, but this year it was a lot more fun to toss toys into the large donation bin. I already had a few toys I had bought to donate, but thanks to the Kellogg’s coupons we were able to give more toys and make Christmas merrier for a few more kids. I didn’t have high hopes for our Santa visit after my daughter insisted she wanted nothing to do with Santa, so I was pleasantly surprised when she climbed up on his knee and happily chatted to him. I can’t say enough good things about this Santa and we had a lovely afternoon creating Christmas memories. Our boxes of Rice Krispies did not stop giving with the Free Hasbro Toy. With Kellogg’s Treats for Toys program, I was also able to plan a fun little activity for my kids that gives back to the Salvation Army. By simply making a toy inspired Rice Krispie treat and uploading the picture to the Rice Krispies website, Kellogg’s will make a donation of $20 to the Salvation Army to buy a gift for a child this Christmas. I uploaded our picture this morning and it was incredibly quick and easy. I had a teddy bear shaped silicone mould so I decided to use that for our toy inspired treats. With a bit of store bought icing and a selection of candies, we decorated our teddy’s and created a fun bedtime snack that gives back. It doesn’t get much sweeter then that! Thank you to Kellogg’s, Hasbro and the Salvation Army for helping us give back this Holiday Season! I love both programs and it is amazing that we were able to give so much with little more then the cost of a few boxes of breakfast cereal. 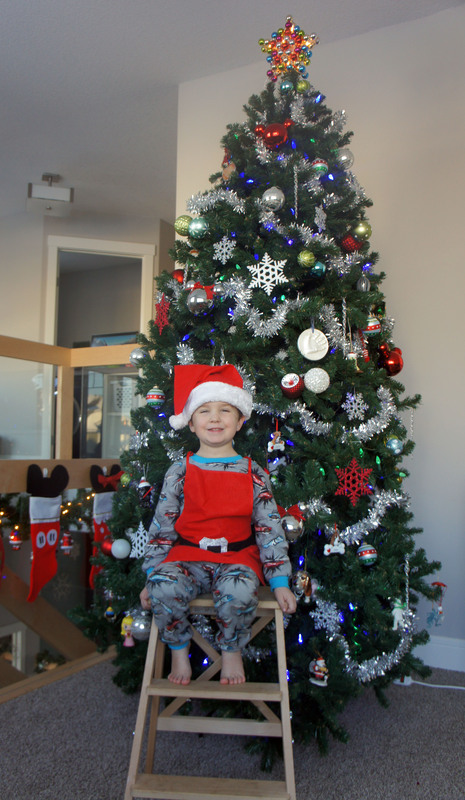 The Holiday season is upon us and I want to try and make the most of it with the kids. There are many things we did last year that the kids enjoyed and I want to attempt again, plus a few new things (weather permitting!). We started things off yesterday with a little “Gingerbread” House decorating. 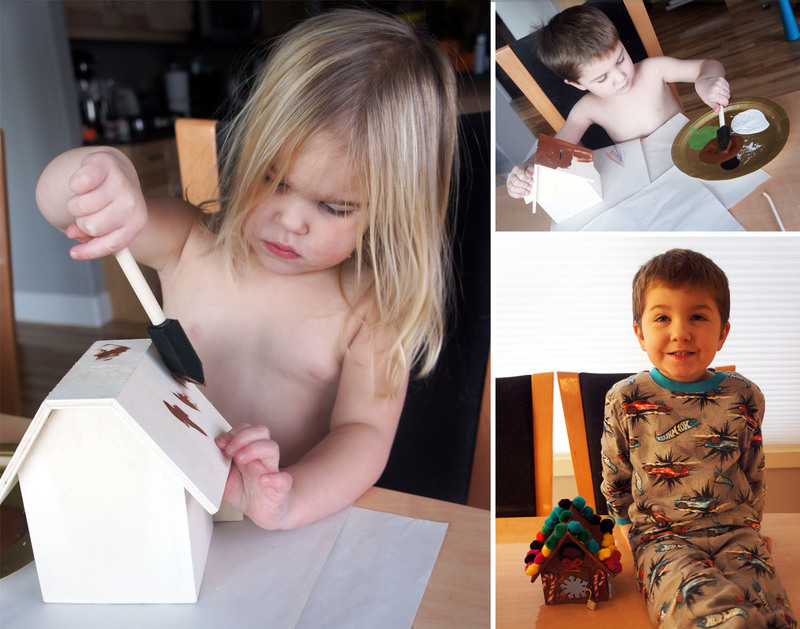 My two year old was drawn to these little wooden piggy bank houses at Dollarama and as I was fighting her to put it back on the shelf, I realized they would make adorable little gingerbread houses for the kids to paint and decorate. 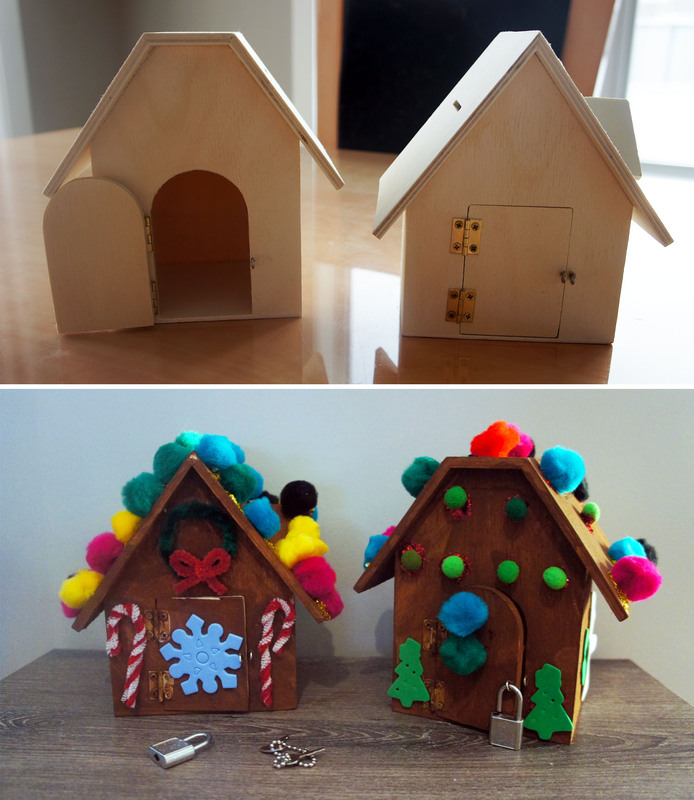 After a coat of brown paint, the kids went to town with the glitter glue, foam shapes and pom poms. Today was bitterly cold so we decided to stay in and decorate the Christmas tree. It is our first time putting up an artificial tree instead of a real one so having it up this early still feels a little strange to me. It is also our first Christmas in this house so there was a bit of debate over where the tree should go. In the end I am happy with it up in our second floor bonus room. Hopefully this is enough to help keep us busy for the next little while. I will try to post a full photo tour of all our decorations once they are all up. I have some popsicle stick snowflakes up on my living room walls I can’t wait to share! What is on your Christmas countdown activity list?